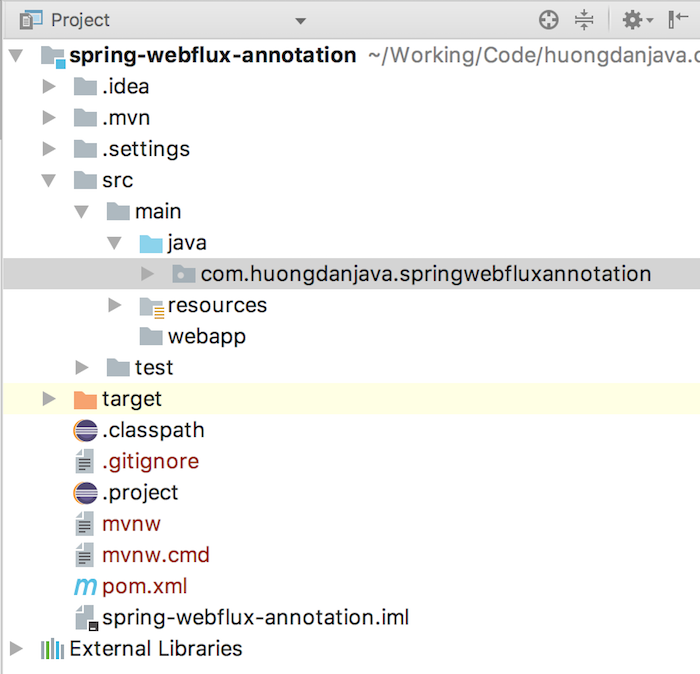 As I said in my previous post, we can develop Reactive web applications using @RestController or @Controller annotations in Spring MVC using Spring WebFlux. How is it in details? We will find out in this tutorial. 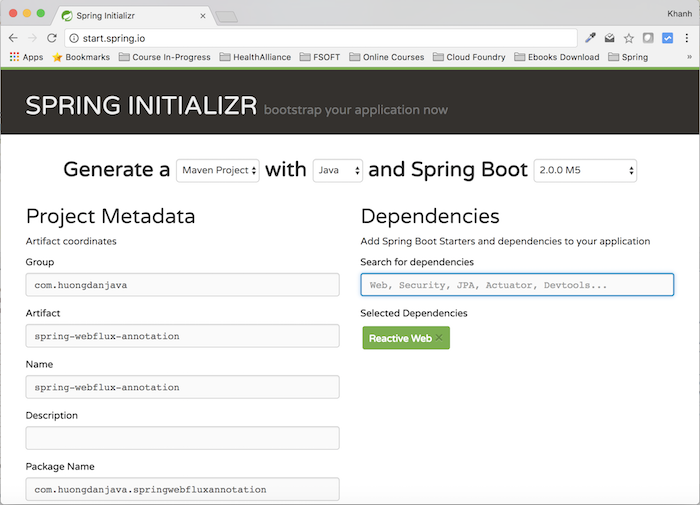 First, I will create a Spring Boot project with Reactive Web support using Spring Initializr Web http://start.spring.io/. Note that, only Spring Boot 2.x onwards support Spring framework version 5.x. If you do not know how to create Spring Boot project with Spring Initializr Web, please refer to this tutorial. In this example, I will create an application that provides list of students with data added every second. When a user requests to our application, whenever a new student is added, the student’s information is published to the user. The first is: create a Student object containing student information. Next, I will create an object that can add a new student every second. This object named StudentService is declared with the @Service annotation so that Spring Boot can automatically declare it in the Spring container. Here, I will use the Flux object to generate a new student after a second and then return to the new student’s Flux object. The last step, we need to do, is: define a request URL that the user can request. I will define StudentController with the declaration using @RestController annotation. 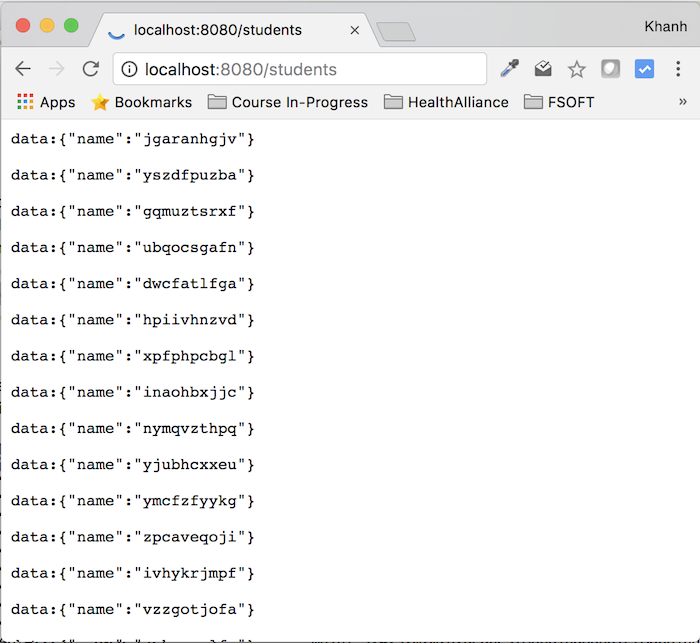 In this controller, I define a request URL as “/students” and when the user requests to it, I will use the StudentService object to find all the students added. Note that, using annotation to build Reactive web applications is very similar with the Spring MVC, except the input or return type is difference, we will use Reactor objects such as Mono or Flux. Another thing to keep in mind that is: we are using produces with the value “text/event-stream”. This is an attribute, if you know the concept of Server-Send Event, help us can send updating content from the server to client. The new student’s information is pushed down to the user whenever it is added. That is it, let try running it.